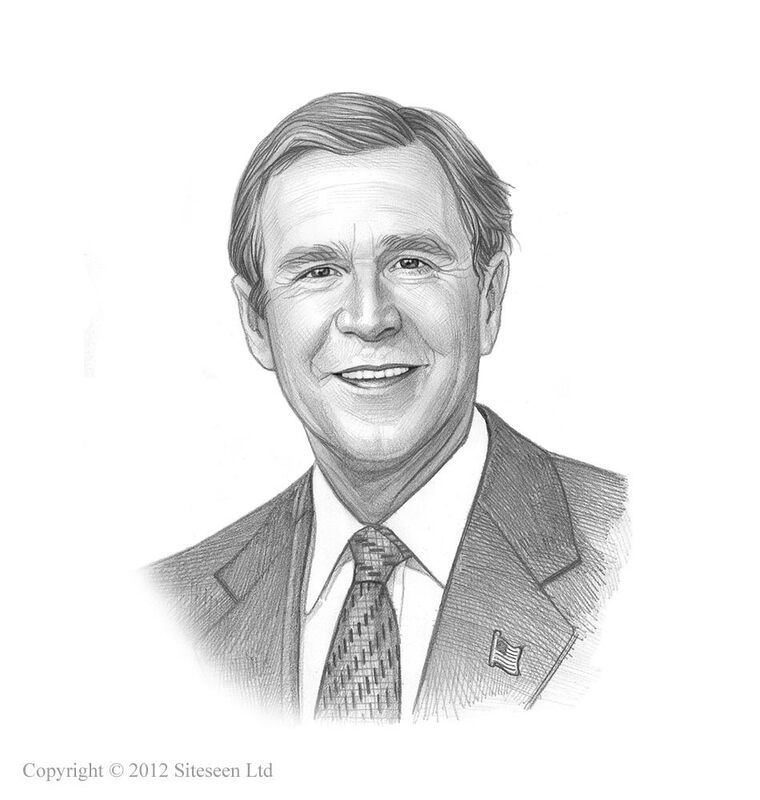 Department of Homeland Security: George W Bush was the 43rd American President who served in office from January 20, 2001 to January 20, 2009. One of the important events during his presidency was the Department of Homeland Security. Summary and definition: The Department of Homeland Security became operational on January 24, 2003, sixty days after the Homeland Security Act was passed. The purpose of the Department of Homeland Security is to prevent terrorism and enhance security, secure and manage US borders, enforce and administer US immigration laws, safeguard and secure cyberspace and ensure resilience to disasters. The following fact sheet contains interesting facts and information on Department of Homeland Security. U.S. Commission on National Security in the 21st Century, aka the Hart-Rudman Commission, had been established in 1998, following the publication of a Fatwah (death sentence) against American Civilians by Osama Bin Laden and Al-Qaeda. The purpose of the commission was to develop a comprehensive US national security strategy and recommend changes to the US government's structure. Many of the recommendations of the commission were used to the create of the Department of Homeland Security. Eleven days after the 9/11 terrorist attacks, on September 22, 2001, President George W. Bush announced that he would create an Office of Homeland Security in the White House to coordinate a comprehensive national strategy to detect and deter terrorist attacks to safeguard the nation against terrorism. One week after the terror attacks of September 11, 2001, bioterrorism rocked America with Anthrax attacks, when anonymous letters, laced with lethal anthrax spores, began arriving at news media companies and the offices of two U.S. Senators. On October 8, 2001 President Bush issued Executive Order 13228 establishing two organizations within the White House: the Office of Homeland Security (OHS) and the Homeland Security Council (HSC). The purpose of the Office of Homeland Security (OHS) was to develop and implement a national strategy to coordinate federal, state, and local counter-terrorism efforts. Pennsylvania Governor Tom Ridge was appointed as the first Director of the Office of Homeland Security in the White House. The purpose of the Homeland Security Council (HSC), composed of Cabinet members responsible for homeland security-related activities, was to advise the President on homeland security matters. On October 11, 2001 Senator Joseph Lieberman (Democrat-CT) introduced a bill to establish a Department of National Homeland Security to protect U.S. citizens against terrorists, following the recommendations of the Hart-Rudman Commission. The Bush administration resisted the bill that lacked an advisor with cabinet rank or line authority, initially preferring to work with newly established Office of Homeland Security (OHS) and the homeland security advisor Tom Ridge. Before the establishment of Homeland Security Department, homeland security activities spread across 22 federal agencies, resulting in poor, uncoordinated communication between the agencies. President Bush tasked senior aides to prepare recommendations for a Republican plan for a major reorganization that would create a Department of Homeland Security, bringing all the agencies together. The plan was unveiled by President Bush on June 6, 2002 and his proposal for the Department of Homeland Security, including his own proposed text for the Homeland Security Act of 2002, was formally submitted to Congress on June 18, 2002. The bill intended to integration of all, or part of, 22 different federal departments and agencies into a unified, integrated Department including the U.S. Secret Service, National Infrastructure Protection Center (FBI), Nuclear Incident Response Team, Environmental Measurements Laboratory, National Communications System (Defense), Federal Emergency Management Agency, the US Customs Service, the Coast Guard and the Border Patrol. Drafting the legislation took time - it was the biggest change in U.S. government since the Defense Department was created in 1947. During this critical period in the nation's history, Congress also had to balance the need to increase the nation's security with the protections of the 4th Amendment of the Constitution and President Bush signed the USA Patriot Act on October 26, 2001. The Homeland Security Act was enacted by Congress in November 25, 2002, creating a stand-alone, Cabinet-level department to coordinate and unify national homeland security efforts. The Homeland Security Act superseded, but did not replace, the Office of Homeland Security (OHS), which retained an advisory role. The Department of Homeland Security became operational on January 24, 2003, sixty days after the Homeland Security Act was passed. Emergency Preparedness and Response: The goals of this directorate include ensuring the nation is prepared for terrorist attacks and natural disasters. Science and Technology: The goals of this directorate include sponsoring the development of Vaccines and treatments for biological attacks. Border and Transportation Security: The main goals of this directorate is to keep terrorists out of the United States, enforce immigration laws and ensure the safety of the nation's transportation systems. Information Analysis and Infrastructure Protection: The goals of this directorate include safeguarding the nation's infrastructure and combining information from intelligence gathering agencies such as the FBI, CIA and the National Security Agency and alert the nation to possible terrorist threats. N.B. The National Terrorism Advisory System (NTAS) replaced the codes in 2011. Directorate for Management: The goals of this directorate include responsibilities for the budget and personnel issues of the employees of the Homeland Security Department. The Department of Homeland Security was reorganized following the six-point agenda and review of the department to evaluate the effectiveness of the department’s operations, policies, and structures. The Directorates for Border and Transportation Security, Information Analysis and Infrastructure Protection, and Emergency Response and Preparedness were readjusted and restructured to centralize and improve Policy Development, Information sharing and Coordination and to work with the Federal Emergency Management Agency (FEMA) in relation to national disasters . A new Office of Policy, a new Office of Intelligence and Analysis, a new Directorate for Preparedness were all created together with a new role of Director of Operations Coordination. The Implementing Recommendations of the 9/11 Commission Act of 2007 built on the Post-Katrina Emergency Management Reform Act of 2006, focusing on the reorganization of the grant process as administered by FEMA. On January 8, 2008, President Bush created the National Cyber Security Center (NCSC), which is responsible for coordinating cyber security efforts and improving situational awareness and information sharing across the federal government.